The future of prayer at the Western Wall has become one of the most contentious issues among Diaspora Jewry in the past year, mainly as a result of the Israeli government’s June 2017, suspension of a plan, which would have changed the status quo at one of Judaism’s holiest site. Leaders of Diaspora Jewry from the non-Orthodox streams, along with the Women of the Wall organization, a group that holds monthly controversial prayer services at the Western Wall, were enraged by the last-minute shelving of the proposal. 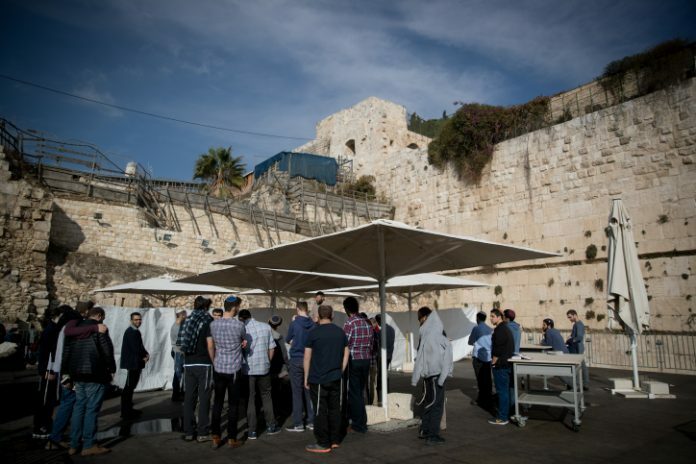 The plan had suggested enlarging and solidifying the current temporary egalitarian prayer section constructed in 2013 near Robinson’s Arch on the south side of the wall, while creating a common opening from the main Western Wall plaza to make it more accessible. At the same time, a joint committee of Reform, Conservative and non-Orthodox female representatives was established to oversee the area. Yet while the issue of Western Wall prayer generated such strong emotions in the Diaspora and within sectors in Israel that work directly with Diaspora Jewry, why has the Israeli public as a whole been substantially less committed to — in fact, downright unenthusiastic about — changing the status quo? The American Jewish Committee’s 2018 groundbreaking survey on the attitudes of American and Israeli Jews shows that while 73 percent of American Jews, a strong majority, favor providing a space near the Western Wall for mixed-gender prayer, with just 21 percent opposed, within Israeli Jewry that statistic was 42 percent in favor with 48 percent opposed. Knesset member Michael Oren, deputy minister in the Prime Minister’s Office, says that he is in the midst of a major undertaking, researching why the issue of prayer at the Western Wall isn’t a burning issue for average Israelis. Oren adds that while many in Israel took issue with various aspects of the recently passed Nationality Law, including wording when it comes to Jewish settlements and minority rights, “there wasn’t any real discussion in Israel over Article Six,” which discusses non-Israeli Jews. The third bullet point in Article Six states that “the State shall act to preserve the cultural, historical and religious heritage of the Jewish people among Jews in the Diaspora,” implying that the rights of Diaspora Jews while in Israel weren’t covered under the law. Oren explains that the original text didn’t say “Diaspora,” but included the phrase “among Jews wherever they are.” It was revised to include the word due to pressure from ultra-Orthodox Knesset parties. He says “there was no interest [in fighting] to make a change back to the original text,” proving Israeli indifference on these issues, including prayer the Western Wall for non-Israelis, most whom are affiliated with the non-Orthodox movements. 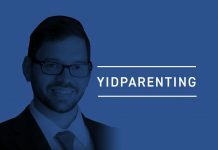 Oren feels that it is his responsibility to awaken the Israeli public on the importance of these topics, though he realizes his goal is difficult; the divide between Israelis and Diaspora Jewry on many issues is currently wide. “There is resentment here on core Israeli issues, such as the Iranian nuclear deal and the U.S. moving its embassy to Jerusalem, because they [U.S. Jews] backed the first and opposed the second,” he says. Oren gives several other examples supporting this schism, but feels passionately that Israelis “have a responsibility and should be working with Diaspora Jewish movements from all streams to strengthen Jewish identify and promote aliyah,” among other issues. He explains that the major difference between Israel and the Diaspora is that in the Jewish state, there is a large population of Sephardim (Jews from the Arab world) who are generally more traditional and historically have had no exposure to Reform or Conservatism Judaism—movements that originated in Western European—as well as American Ashkenazi Jewish communities of the 19th and early 20th centuries. One Jerusalemite who feels that it is unnecessary to change the status quo is Joshua Wander, a public-relations consultant who lives on the Mount of Olives in the eastern side of the city. Wander has shared videos on social media of a completely empty egalitarian section of the Western Wall, entirely free of worshippers. “It is practically empty 365 days a year he says. If you go there any day of the year, you will find it abandoned,” he says. To be fair, the entrance can often be overlooked, and many visitors simply don’t know it’s even there. 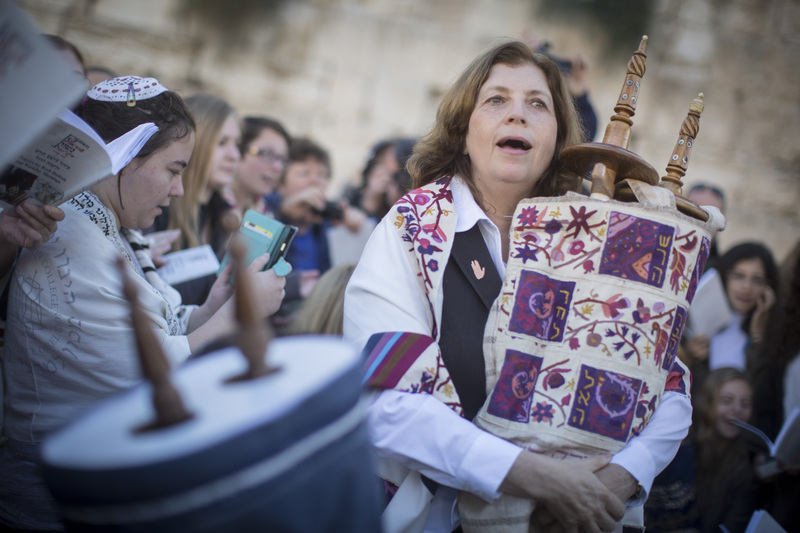 Wander has also been to the wall during the monthly prayer sessions held on Rosh Chodesh (the new month) by the Women of the Wall, whose members often don phylacteries and wear prayer shawls, and attempt to sneak over Torah scrolls from the men’s section to be used in their services. Sometimes, those gatherings lead to verbal confrontations and scuffles with others at prayer, along with conflicts with the authorities in charge of keeping the peace. While the full government plan for the Western Wall remains frozen, earlier this month Netanyahu himself was approved to head a ministerial committee to implement part of the plan to expand the current egalitarian site thus creating a permanent mixed prayer space. As JNS reported, Minister of Culture and Sport Miri Regev, who originally headed the panel along with Minister of Justice Ayelet Shaked, both resigned from the committee in protest over its mission. While the resignation of the ministers from the committee caused further uproar among the non-Orthodox spiritual leaders of the various branches of Judaism in the Diaspora, once again, the reaction by the average Israeli was muted. Netanyahu may or may not succeed in fulfilling the committee’s mandate, but it seems that for now, most Israelis won’t be actively lobbying for change.